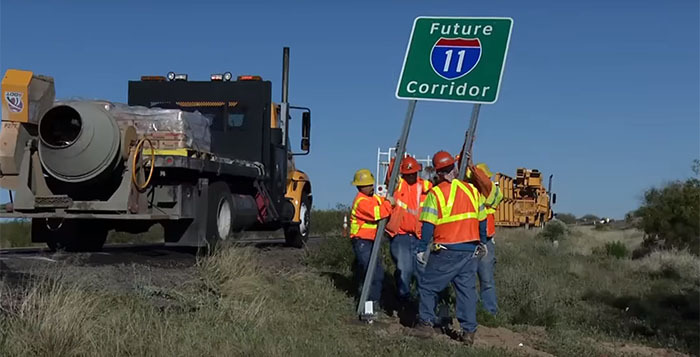 The Arizona Department of Transportation is conducting an environmental impact study (EIS) to identify a potential 280-mile corridor for I-11 between Nogales and Wickenburg. The Tier 1 environmental review process considers a wide range of Build Corridor Alternatives, as well as a No-Build (do-nothing) Alternative. Public hearings on the Draft Tier 1 EIS will provide information on the recommended corridor alternative and accept formal public comments via the comment form, verbally to a court reporter, and through three-minute verbal comments in front of a panel of study team members. Monday, April 29, 2019 5-8 p.m.
Tuesday, April 30, 2019 4-7 p.m.
Wednesday, May 1, 2019 5-8 p.m.
Tuesday, May 7, 2019 4-7 p.m.
Wednesday, May 8, 2019 3-8 p.m.
Saturday May 11, 2019 11 a.m.-4 p.m. 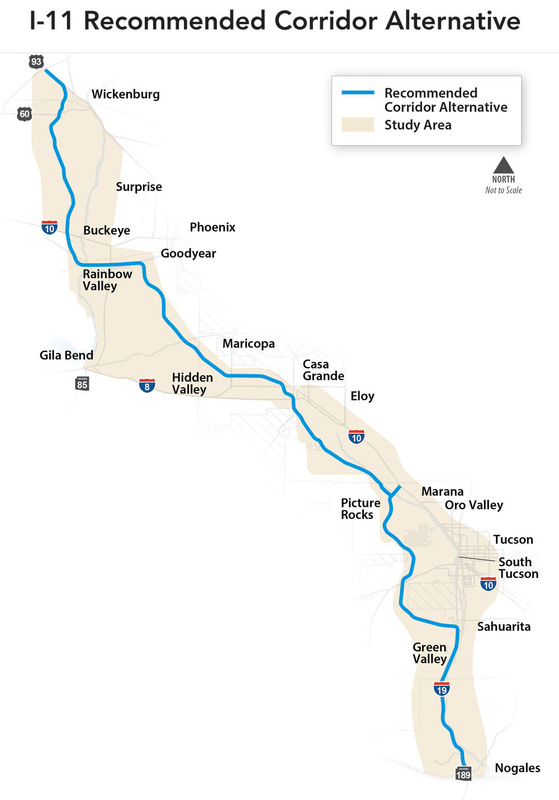 Residents can review the Tier 1 Draft online or at the Maricopa Public Library, or purchase a copy at Impressive Imaging (44480 W. Honeycutt Road, Suite 102). Public comments are due by May 31, 2019.